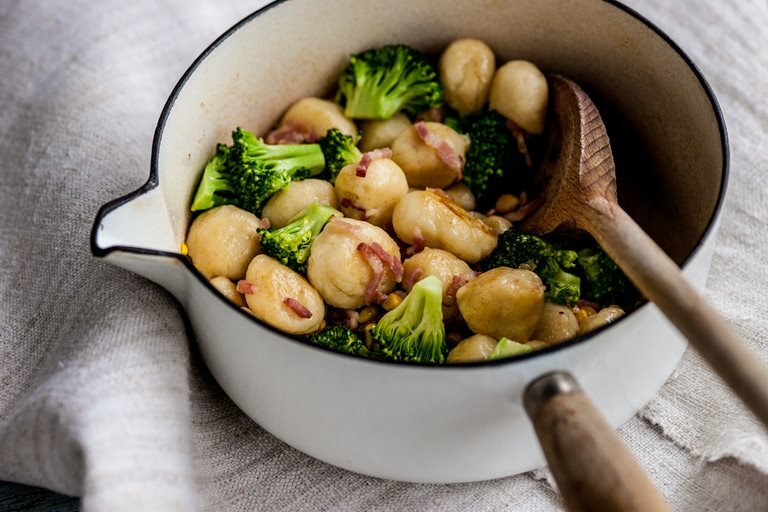 William Drabble serves up his potato gnocchi recipe with wonderfully crispy bacon, broccoli florets and sweetcorn kernels – a simple and satisfying dinner if ever there was one. Avoid over-working the mashed potato for perfectly light gnocchi. Beginning his career as an unpaid kitchen worker at the age of fourteen, William Drabble has steadily worked his way up to the position of Executive Chef at one of London's most prestigious hotels.